We just received breaking info from a tipster that the 2020 / 2021 Ford Bronco will feature a removable “Air Roof” with either four or six modular roof panels that can be taken off and stored in the vehicle, in line with concurrent info provided by well-placed insiders reported today. 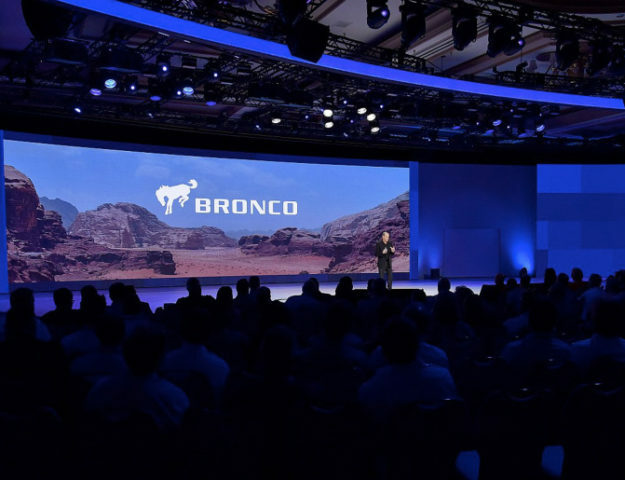 We are told that the implementation of the new Bronco’s Air Roof could be similar to the “MySky” removable sunroof design found on the Jeep Renegade which uses dual-panel roof panels that can be retracted (with power option) or removed completely for open-air off-roading and driving. The panels store flat in a height-adjustable rear cargo area when removed. 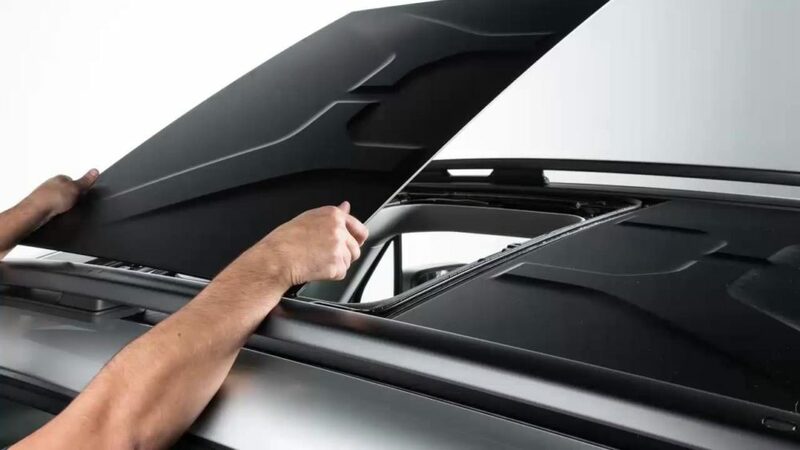 This news also coincides with reports of the new roof design in the next-generation 2018 Jeep Wrangler which may feature removable three-piece hardtop panels, indicating even more direct feature overlap and competition between these two rival vehicles. 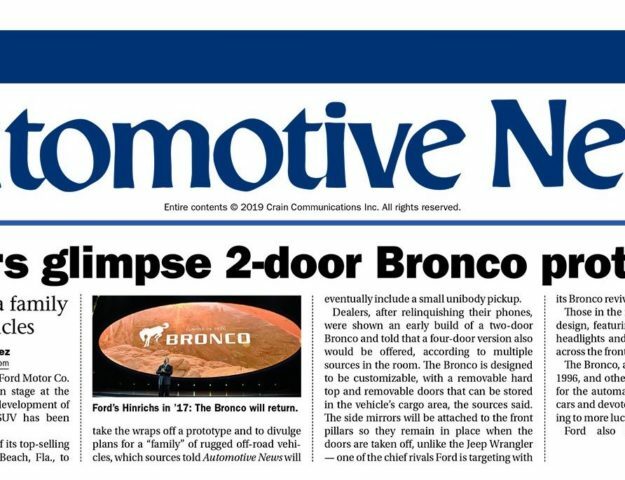 No word yet on the materials used for the new Bronco’s “Air Roof” and whether it will be glass, metal, plastic or another material. We will keep everyone updated should our tipster provide additional details on the new roof feature. 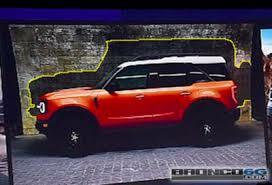 See the full report on the “Air Roof” removable roof feature for the new Ford Bronco.